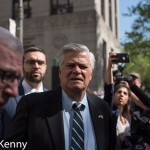 Dean Skelos, former New York State Senate Temporary President and Republican Majority Leader, was sentenced today in federal court on corruption charges. 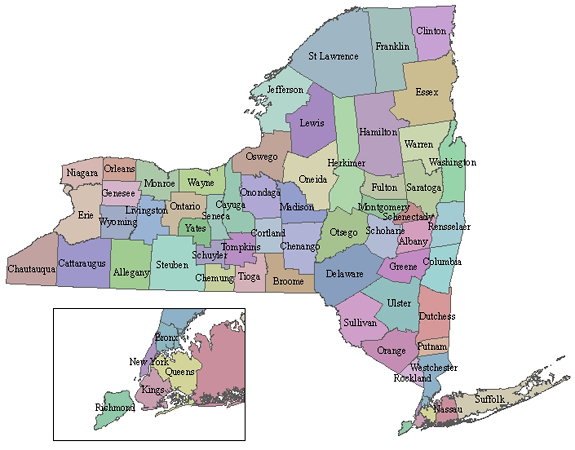 Skelos received a five year prison sentence, while his son Adam received a six and a half year sentence. 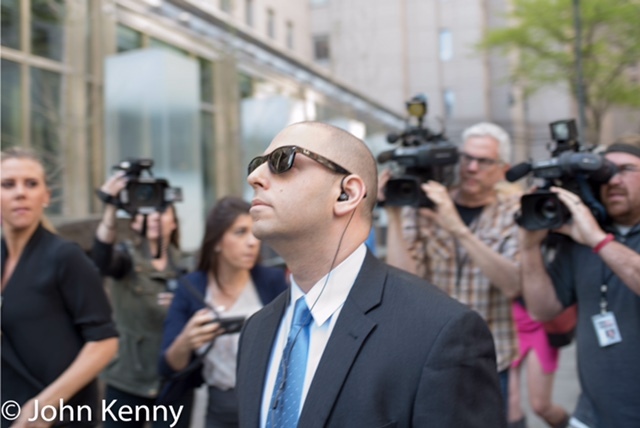 Father and son arrived separately but departed together, navigating a media crush each time. After both Skeloses had made it into a waiting car a family member had a brief altercation with a reporter. 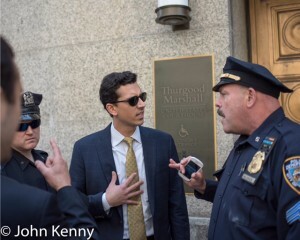 Grabbing a reporter’s wrist, A nephew of Dean Skelos, Basil (Billy) Skelos, grabbed a reporter’s wrist and flung her phone across the street. 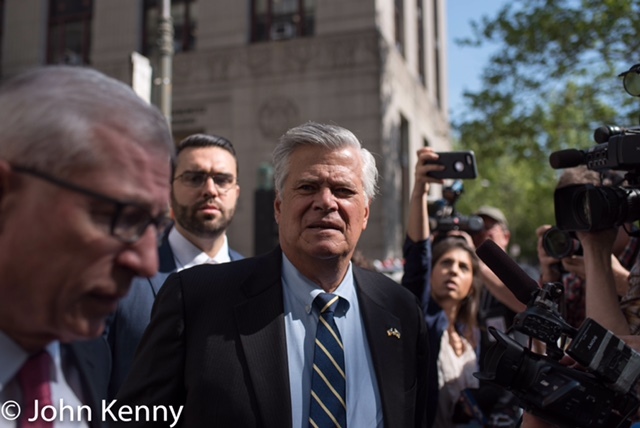 After being surrounded by press as he walked away Basil Skelos was stopped by the NYPD and charged with misdemeanor assault.